Your precious memories deserve an equally precious setting, and this sparkling glitter frame is certainly up for the task. Fine metal is handcrafted from 100% recycled aluminum. 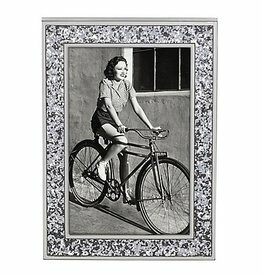 The Classic Frame lends itself to any style of home decor. 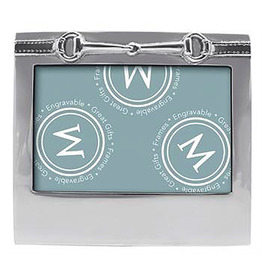 You will never need to polish this 100% recycled aluminum has been handcrafted into a sophisticated molded shape, surrounding a 8 x 10" photo frame. 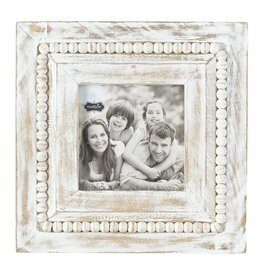 White-washed wood frame features beveledaccents, distressed crackle finish and frame-on-frame construction with 8" x 10" photo opening. Arrives with wall mounting hardware. A brother is a confidant, friendly rival and best companion all wrapped into one. 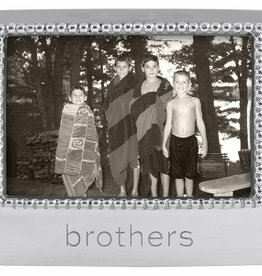 Frame a favorite moment together in our handcrafted, engraved "brothers" Frame. 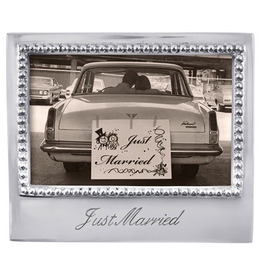 Celebrate the newlyweds with this adorable "Just Married" Frame handcrafted from 100% recycled aluminum. Holds a 4 x 6 photo. White-washed wood frame features beveledaccents, distressed crackle finish and frame-on-frame construction with 6" x 4" photo opening. Arrives with wall mounting hardware. 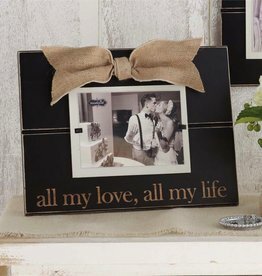 all my love, all my life is etched below 5"x7" photo opening on distressed wood frame. Families come in all shapes and sizes. 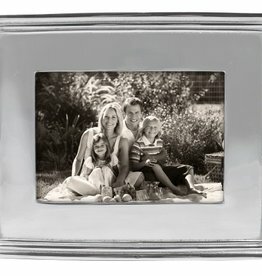 Show off your lovable family in the "Yours, Mine & Ours" Frame. 5 x 7 size to accommodate a larger photo or larger family! Horse Bit 4x6 Frame. So cute for your favorite horse, friend, or both! No polishing necessary - made from 100% recycled materials. 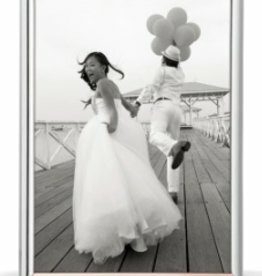 The new Mr. and Mrs. will appreciate the kate spade new york Darling Point 8" x 10" Frame, especially since it's etched with their new titles: "Mr. and Mrs.". The frame is a gift they'll appreciate for years to come. Holds an 8 x 10 photo. 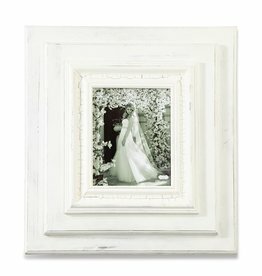 "Happily Ever After" - A beautiful statement on a beautiful frame. Makes a lovely engagement or wedding gift. 100% recycled materials. Made by hand. No polishing necessary, finish may be touched up with Simi-Chrome. 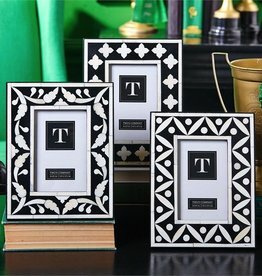 Display your favorite photo in this chic frame from the designers of kate spade new york. Shimmering in silver plate, this elegant frame is trimmed with the pale pink of a sweet rose. 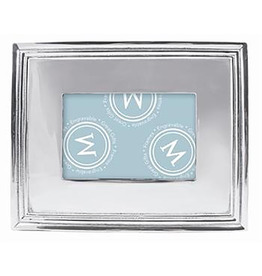 Simple and sophisticated, this lovely frame is at home in any decor.